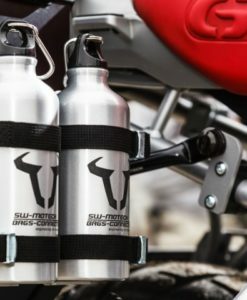 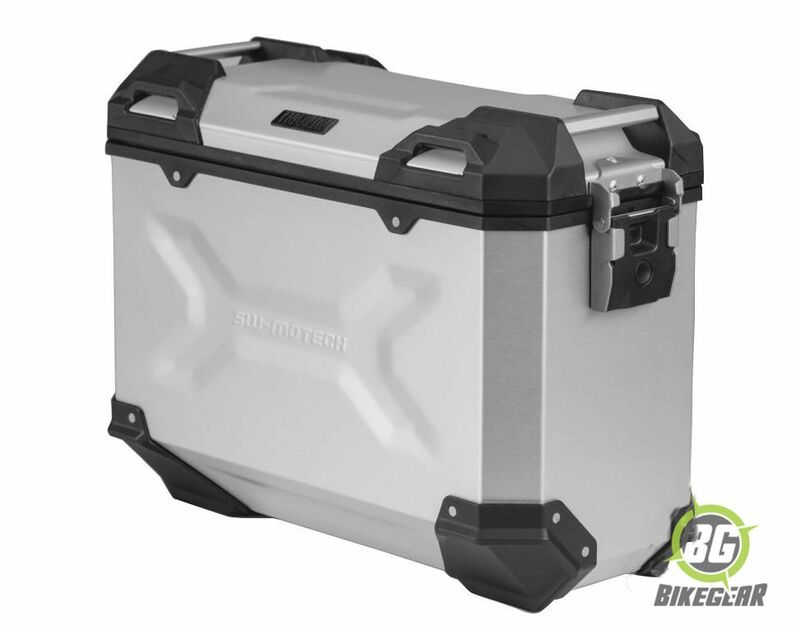 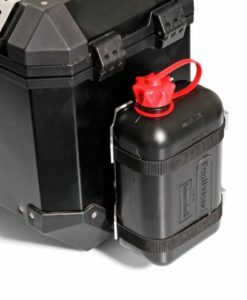 SW-MOTECH TraX ADVENTURE Side-case Kits are engineered in Germany with an emphasis on security, strength and ease of use ensuring they are ideal for the adventure motorcyclist who is looking for a rugged and great looking, long-distance enduro touring pannier set. 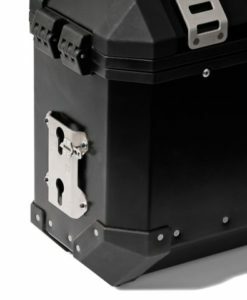 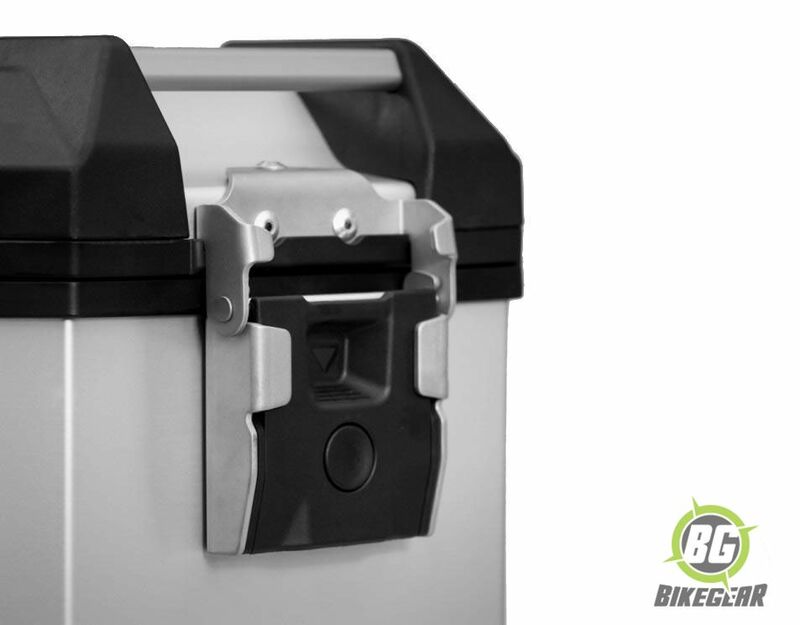 The main body section of the pannier is also deep drawn and stamped for additional strength while the unit is completely robotic welded ensuring it is water and dust proof. 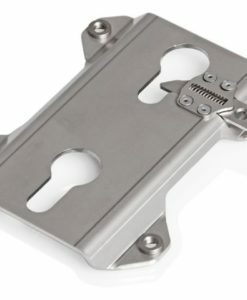 Unique pierce rivets further ensure a tight seal. 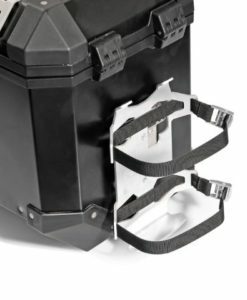 This 3 D seamless construction increases the strength considerably over conventional pannier systems and distributes it across a larger surface area. 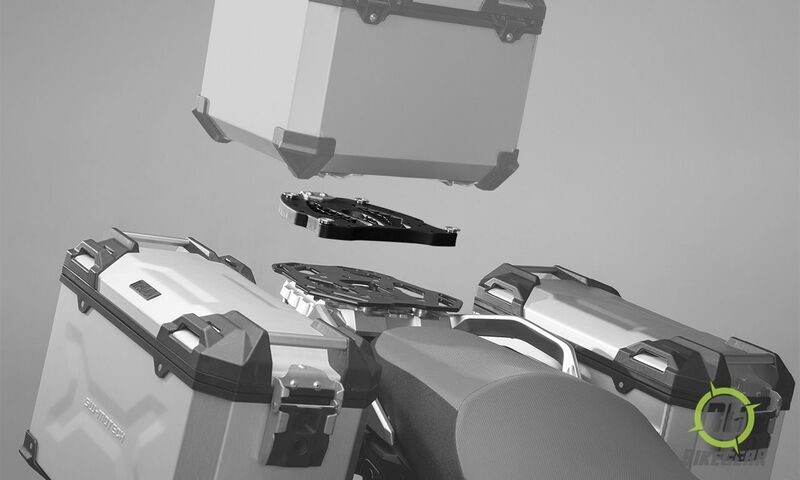 Damage is less after a fall. 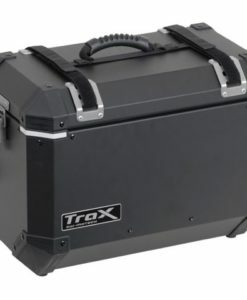 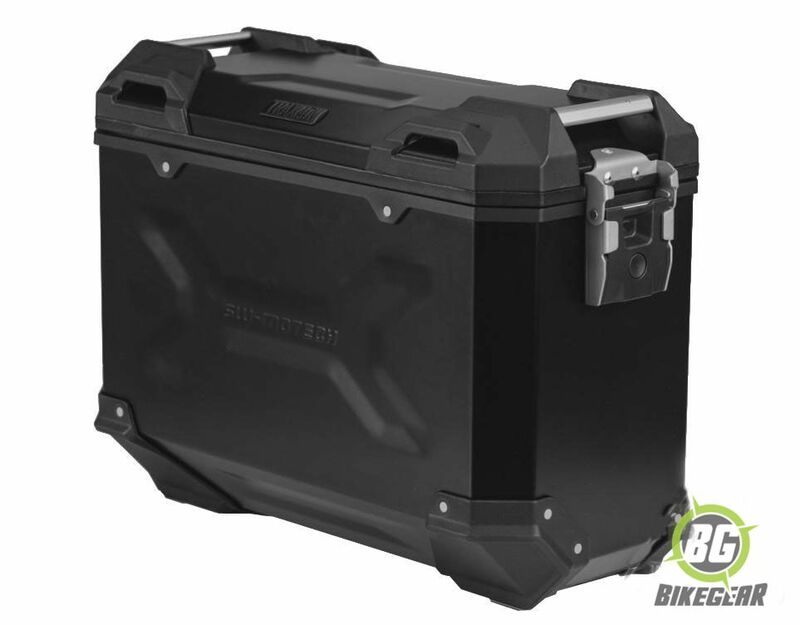 This set consists of two TRAX ADVENTURE motorcycle side cases. 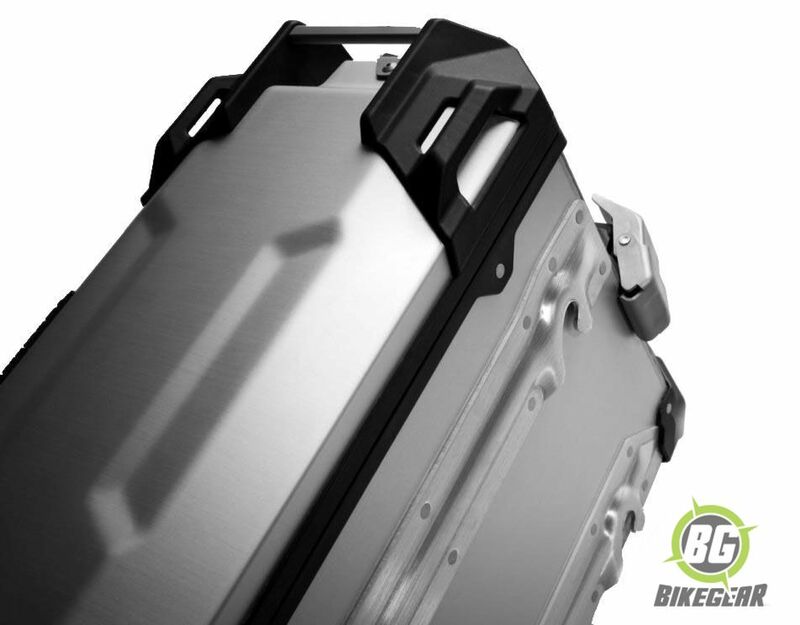 Also included are QUICK-LOCK EVO side carriers, adapters and a locking system at an attractive price.. Carrier and case configuration have been carefully selected to complement the motorcycle models tail geometry and exhaust system. 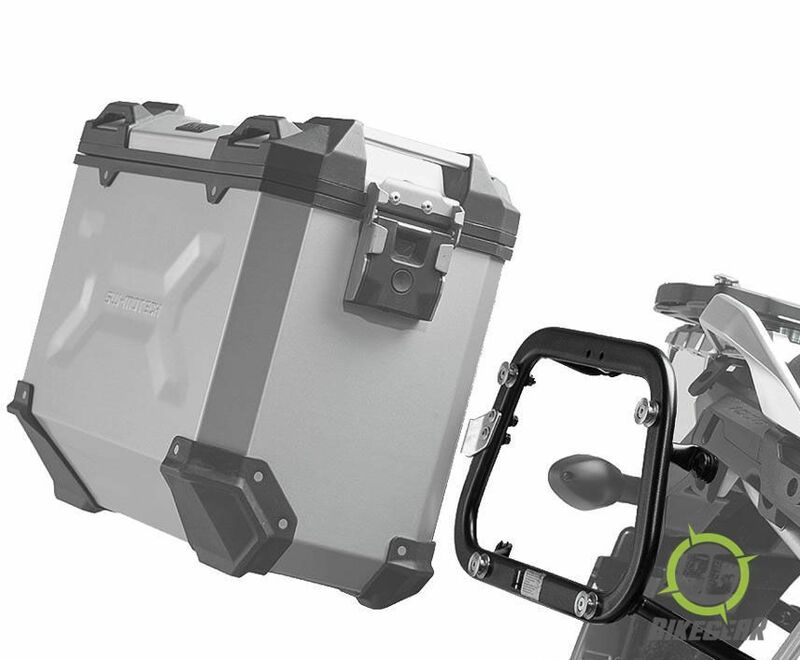 Once installed the QUICK-LOCK EVO carrier can be removed within a heartbeat. 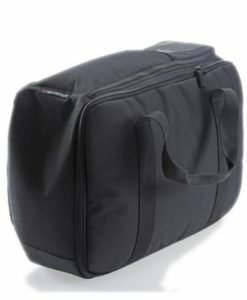 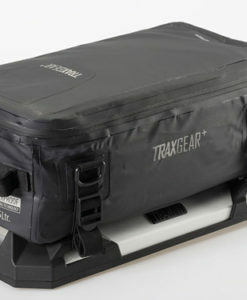 Features TRAX ADVENTURE side cases. 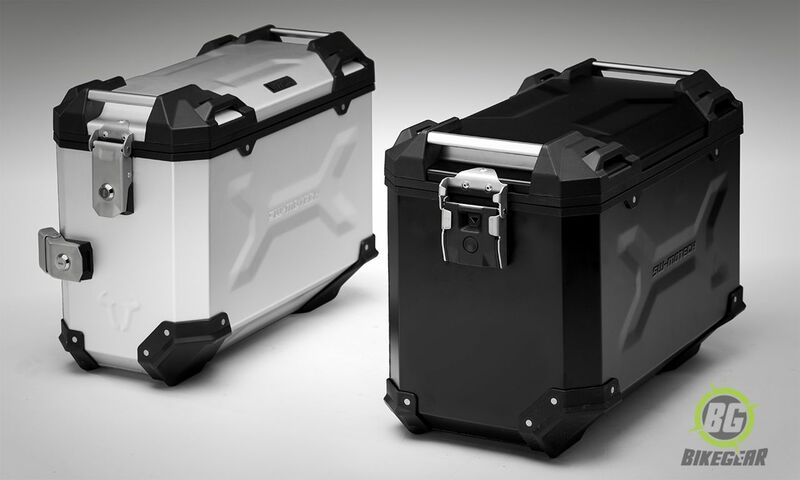 Anodized surface prevents aluminum residue under all climate conditions. 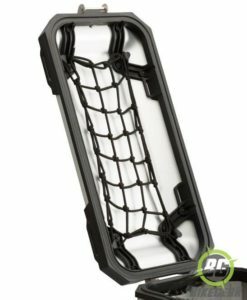 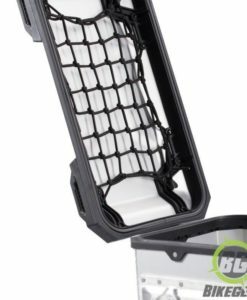 Features QUICK-LOCK EVO side carrier (click to find out more). 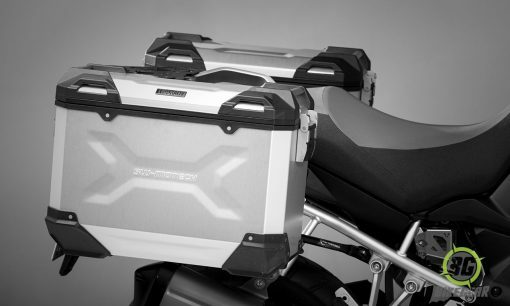 Read more on the TraX Adventure alu pannier system .